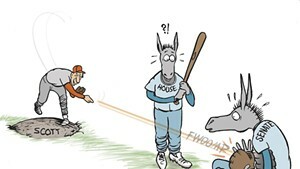 Some bizarre drama surrounded the delivery of his vetoes. The clerk of the House of Representatives, William MaGill, said he first received a single letter containing the veto of both bills. He said he returned the letter because he thought it was improperly framed. The Scott administration disputed MaGill’s characterization. “There is no constitutional or statutory authority for a House clerk to impose restrictions on how, or in what way, a Governor communicates his ‘objections in writing,’” wrote Rebecca Kelley, Scott’s spokesperson, in an email. 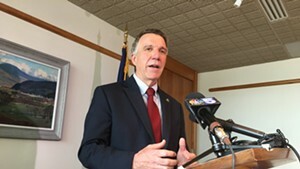 Kelley asserted that the governor’s original communication contained two separate letters, one for each bill. She said the identical communication was resubmitted Tuesday afternoon, and that time MaGill accepted it. 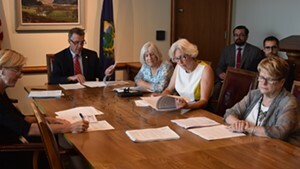 Scott asserted that he had “made a number of proposals to generate savings in the Education Fund … To date, the Legislature has rejected all such proposals.” He criticized the two bills as imposing unneeded tax burdens and drawing money from Education Fund reserves. The vetoes set the stage for a special legislative session scheduled to begin on June 21. 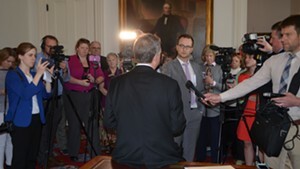 The governor has remained steadfast in his demand for a change in how teacher health care benefits are negotiated. 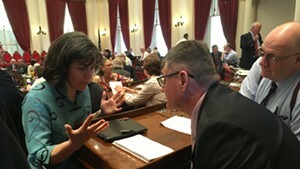 He had originally proposed statewide bargaining for health insurance; since then he has amended his stance — not demanding statewide negotiations, but insisting on statewide “uniformity” in teacher health insurance. That would seem to require some kind of statewide negotiation, which has been a dealbreaker for the legislature’s Democratic majority. 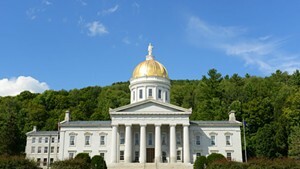 Seven Days also obtained a memo from Jason Gibbs, Scott’s chief of staff, that was sent to the governor’s extended cabinet. 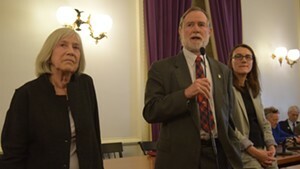 In it, Gibbs reiterates the administration’s talking points about the issue, repeatedly emphasizing the purported $26 million in savings achievable from this “once-in-a-lifetime opportunity” triggered by the federal Affordable Care Act, which is forcing a change in Vermont teacher health insurance plans. The Gibbs email also restates the very Scott-friendly timeline pushed by the administration. Indeed, Gibbs pushes the narrative back to the year 2015. 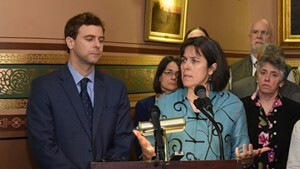 “Despite learning about this savings opportunity beginning in 2015, taking additional testimony … throughout the 2017 legislative session and receiving multiple proposals to secure the savings from the Scott Administration, the Legislature failed to implement a policy mechanism that would achieve these savings,” Gibbs wrote. 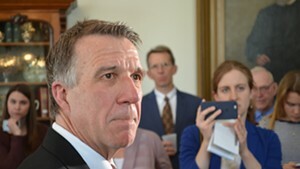 Whether or not the legislature learned of the opportunity two years ago, Scott has acknowledged that he only heard about it after his budget address in January. 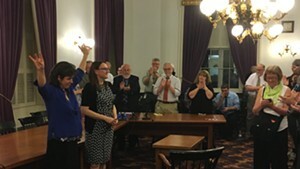 And although there was testimony on this and a host of other ideas throughout this year’s session, Scott waited until late April to formally endorse the idea. 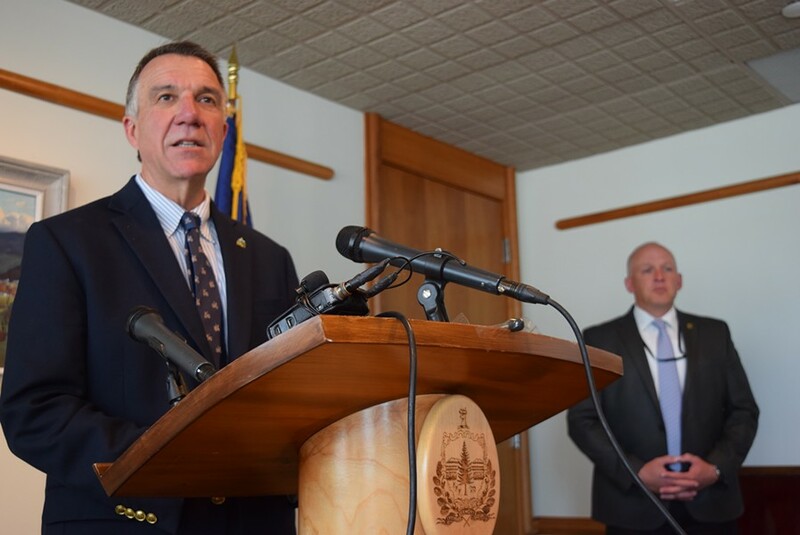 Scott has maintained his desire for statewide uniformity in teacher health care benefits. 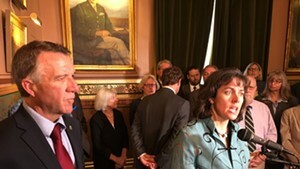 At the same time, he has said he would accede to the legislature rather than risk a shutdown of state government, which would happen on July 1 if a budget has not been adopted before then.